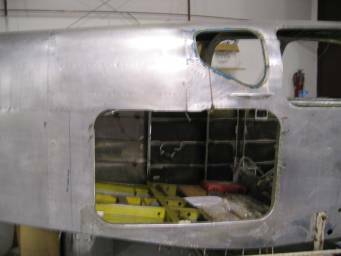 Fuselage cabin area restoration | AVSTAR Aircraft of Washington, Inc.
Mike and two of his buddies buy a derelict F35 and make it into a plane of their dreams. 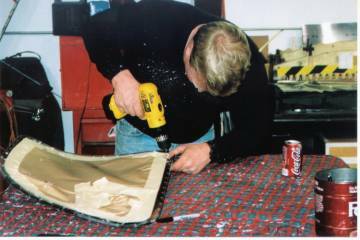 In this installment, Mike, John & Craig set about working on the fuselage cabin area. 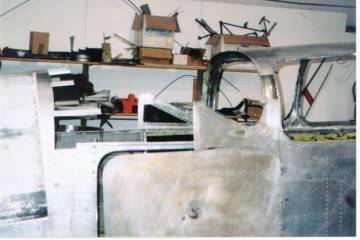 Aircraft secured, time to start taking out the old belly. 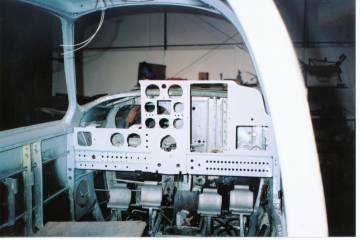 Lower FS 150 bulkhead and belly skins FS 151 to 179 removed. 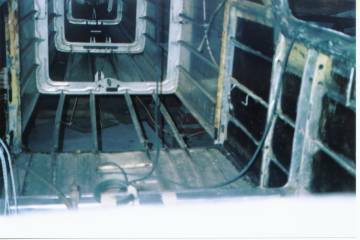 Lower FS 131 & 150 bulkheads and belly skins FS 131 to 179 removed. 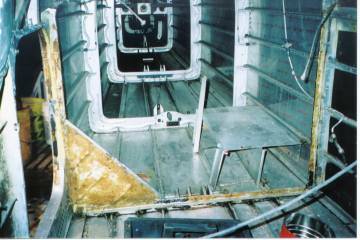 New lower bulkheads and floor structure fit FS 131 to 170. 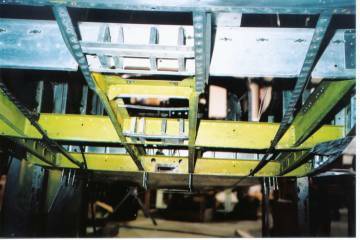 Looking up at new floor structure. 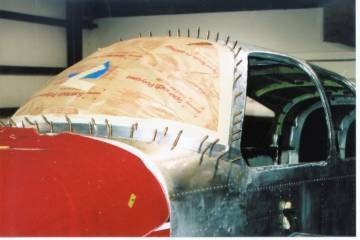 Fitting and drilling new belly skins. 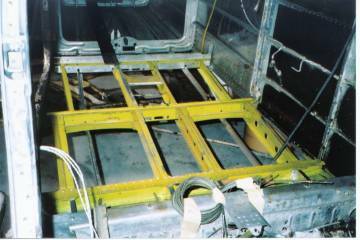 Fitting and installing new large baggage door lower and aft frames, lower skin. 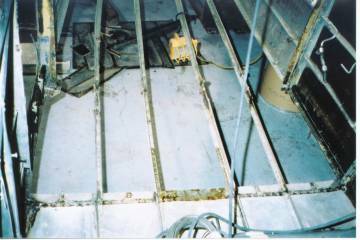 With lower and side rigidity back, we removed upper structure for the large windows. 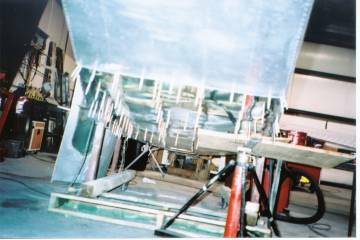 New upper structure for the long window is fit, left side view. 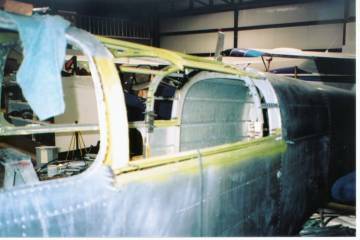 New upper structure for the long window is fit, right side view. Fitting the new upper skins, FS 131 to 179. 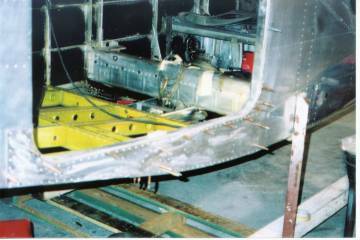 Riveting progress, new upper skins, FS 131 to 179. 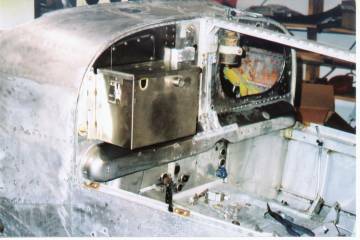 New battery box installation. 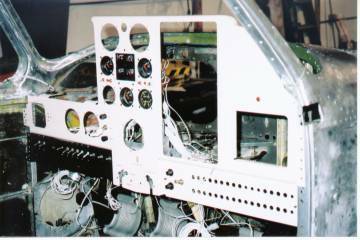 An access hole was left in the firewall for ease of avionics installation and maintenance. 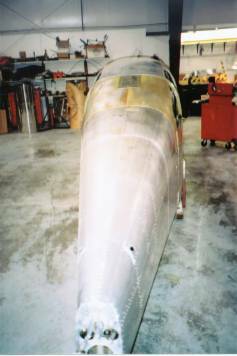 New windshield being fit and drilled. 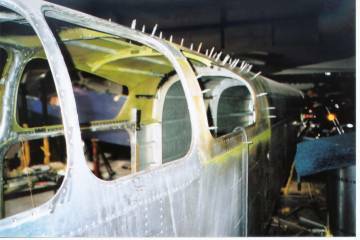 Forward window holes had to be oversized and chamfered after initial drilling. 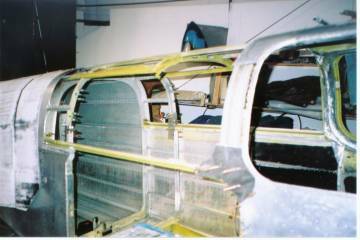 Finishing structure added for hat shelf and back baggage wall; then the plane was masked and sent out for interior paint as needed. 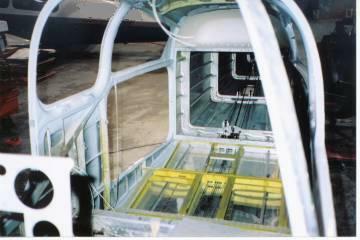 Forward cabin area after painting.